2. 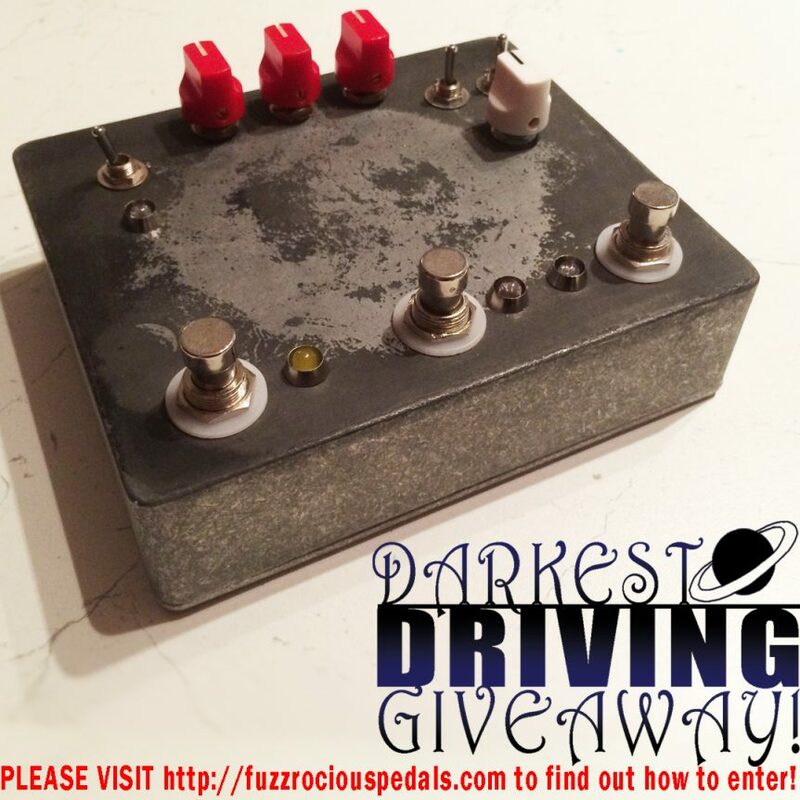 Share the image that accompanies this post with a link to our website http://fuzzrociouspedals.com and the hashtag #fuzzrociouspedals in the posting on one (1) or more of your social media sites (limited to Twitter, Instagram, Facebook, and Google+). Each initial post on your social media = one (1) entry, so if you post on all four (4) social media outlets, you will have four (4) entries which raises your chance of being chosen! No, if you post the image, link, and hashtag more than once on one (1) social media site, it will not create more entries. A posting will be chosen at random and the person will be cross-checked through the newsletter email list to assure all criteria has been met, then a winner will be announced on 10/14/14! You MUST share the photo, link to our site, use the hashtag, and sign up for our newsletter email list to be eligible in the giveaway!